Amsterdam, Cape Town, 21 September 2018 – International children’s rights organization the KidsRights Foundation today proudly announces that 121 nominees are in contention for the International Children’s Peace Prize 2018. The prestigious prize is awarded annually to a child who fights courageously to promote the rights of the child. In a very special tribute to archbishop Desmond Tutu, Nobel Peace Laureate and the official patron of the International Children’s Peace Prize, this year’s ceremony will be held in Cape Town, South Africa. There, the archbishop will present the prize to the winner in a ceremony attended by dignitaries and the world press on 20 November 2018. The International Children’s Peace Prize has become a global phenomenon. In 2018, children from no fewer than 45 countries were put forward as nominees by a great number of esteemed international organizations including Ashoka, David Suzuki, Plan International, Save the Children, the United Nations and World Vision, as well as local civil society organizations based in various countries around the world. Out of the 121 children nominated, most hail from Kenya (12) and Mexico (12), closely followed by India (10). 72 girls, 42 boys and one collective of children were put forward for nomination. This year’s nominees together defend the rights of children on a wide range of issues, including Child Participation, Education, Peace, Gender Equality and the Environment, and various other pressing global challenges. 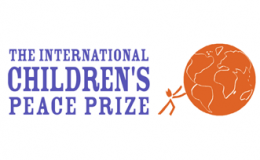 The International Children’s Peace Prize is held for the fourteenth consecutive year. Every year, the message of the new young winner has tremendous impact and is heard by a global audience. But the other nominees, too, demonstrate to millions worldwide that change is possible. KidsRights offers the nominees an international platform on which they can better spread their message and continue their important work. Once again, the annual list of nominees comprises many inspiring and encouraging stories about true changemakers who demonstrate that young age need in no way be a barrier to launching initiatives that improve children’s rights. We invite one and all to visit our website to read about these brave changemakers and ways to support their tireless work: www.kidsrights.org/nominees. Please visit the online profiles of the nominees: www.kidsrights.org/nominees.